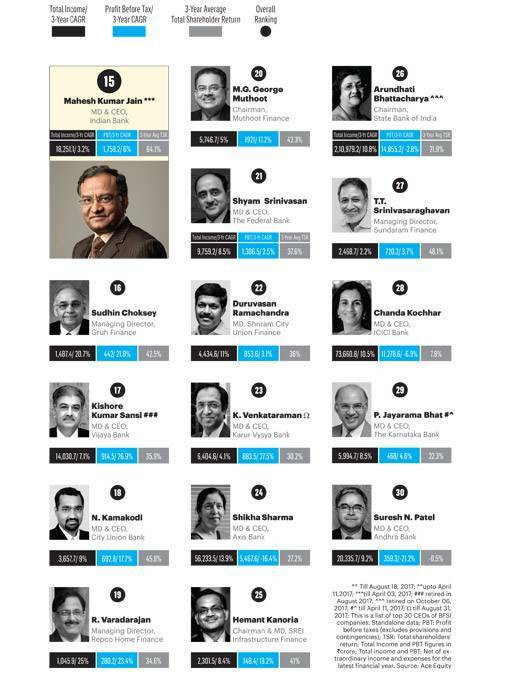 The financial sector continues to face huge challenges such as poor credit growth and huge bank NPAs. Some players crossed these hurdles with aplomb. 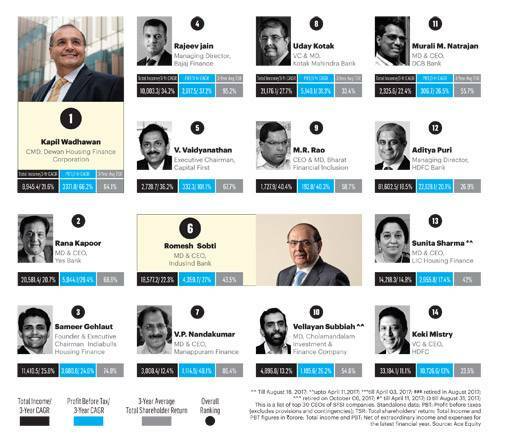 Here is the list of Top 30 CEOs from the BFSI sector.